Jim Cramer is a better stock picker than you think. Insider Monkey has been following Jim Cramer’s stock picks very closely for the past two months. Jim Cramer isn’t the kind of person that you should trust your entire portfolio with (almost no one is). You shouldn’t invest in all the stocks that Jim Cramer is recommending. However, you can consider the stocks Jim Cramer is recommending the most. Most fund managers have a good investment idea or two. These are their best stock picks. They themselves feel that these stocks are most likely to perform better than most of their stock picks. These are the stock picks individual investors should find out and imitate. Jim Cramer’s all buy recommendations actually performed much better than most investors expected. A recent study comparing Jim Cramer’s return to the S&P 500 index found that Jim Cramer managed to outperform the S&P 500 by 5 percentage points annually between July 2005 and December 2007. This is probably because Jim Cramer knows which investment style’s outperform on the average and makes his picks accordingly. During the past two months Jim Cramer recommended the following two stocks the most: Apple (AAPL) and gold ETF (GLD). These have been amazing picks. They both outperformed the market by more than 20 percentage points during the past two months. This is the type of performance we would like to see in every fund manager’s “best” stock picks. Same thing goes for John Paulson. His fund is performing horribly this year. However, everybody knows that John Paulson’s “best” investment idea is gold. This has been the case since 2009 and he made $5 Billion in 2010 thanks to his outsized gold bets. We like Jim Cramer more than most people. 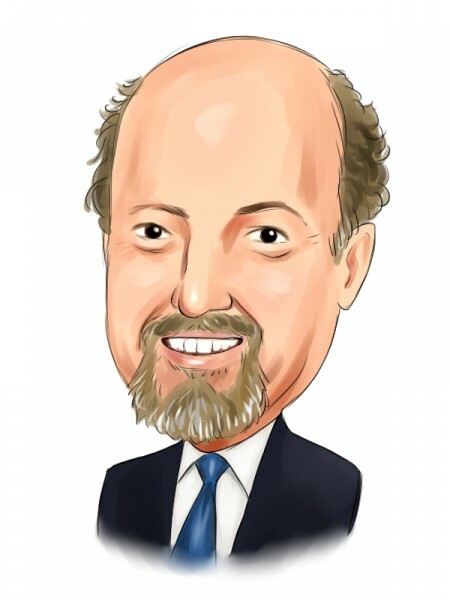 We don’t think he is entertaining at all, but Jim Cramer’s top stock picks are doing great. We will keep following Jim Cramer.